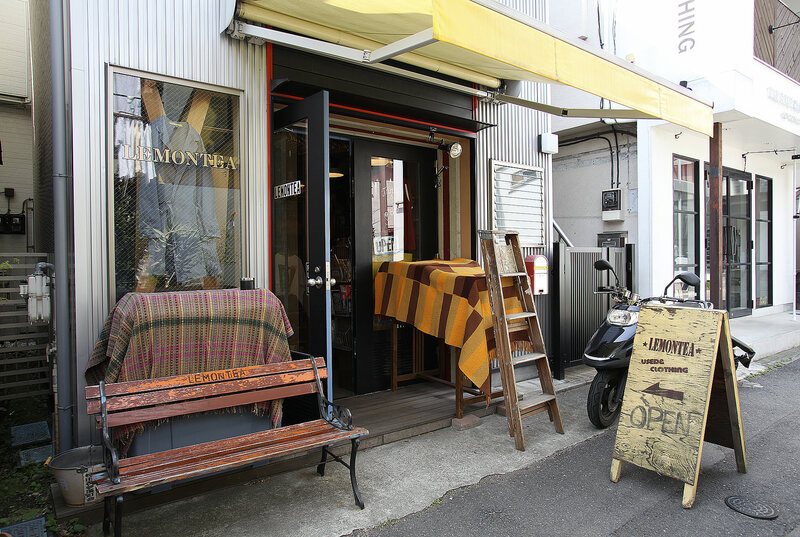 LEMONTEA is a used clothing shop which is located on the backstreet on the Shibuya side which you can reach from Jingu-mae intersection in Harajuku. This shop has been here for a long time but no matter when you visit the shop, the atmosphere of the shop, products and staff members are all natural and friendly, which makes this shop so attractive. The interior of the shop features antique racks and furniture to produce relaxing atmosphere. And the products exhibited look standard but present “new standards” with hints of playfulness. The desire of staff members to show people how fun it is to enjoy wearing used clothes seems to constitute everything about the shop. Why don’t you drop in on the shop when you stroll around the backstreets in Harajuku.